All of life came from the ocean. We carry the ocean within us as extracellular fluid. Throughout human history, people living near the ocean usually had better health and longer life, due to access to fish, seaweeds, and other harvests from the sea. There are 118 elements in the periodic table, which is the materials used to create all of the planet earth, including you. Of these 118 elements, about 90 are found in the ocean. Of those 90, about 65 are found in the human body. Of those 65 only 15 are considered essential in academic nutrition textbooks. Of those 15, only 3 are added to the soil, nitrogen, phosphorus, and potassium. You can do the math. We are clearly short changing our diet with modern agriculture. Sea vegetables can help add back trace minerals that are probably essential for human health. The fucoidans in seaweed have been found to have abundant health advantages. Seaweed is a gold mine of valuable nutrients for your health. 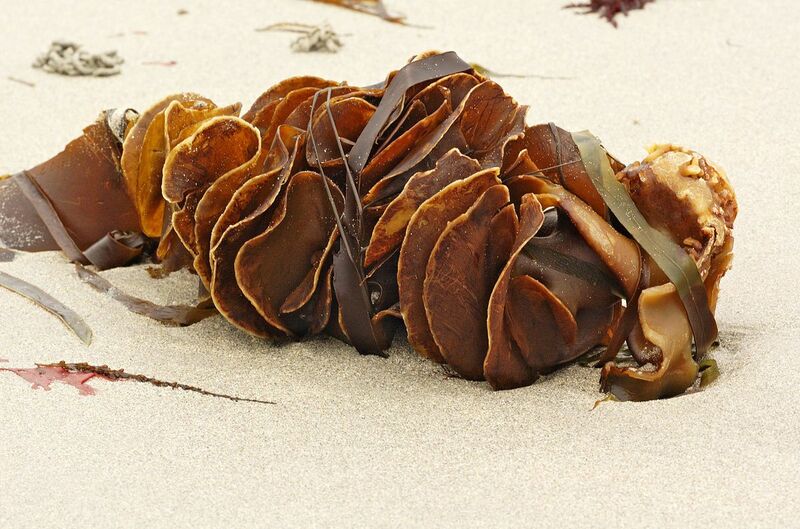 What is a seaweed or ocean vegetable? The same ways plants grow on land, others grow in the oceans. And just as some plants that grow on land are called weeds, many plants that grow in oceans and seas are called seaweeds. Many of these plants have been used for food for thousands of years. While some ocean vegetables have the greenish color associated with land plants, seaweeds are quite different. They are simple plants similar to fungi. But they also have similarities to land plants in that they have the ability to use water, sunlight, carbon dioxide and water-borne minerals to produce sugars and other food material. Incidentally, the abundance of raw materials in oceans is responsible for their health benefits. Ocean vegetables can be eaten in many different ways including adding them to soups, stir fries, salads and side dishes. Once cooked, they taste similar to land vegetables. All in all, they have their own distinct marine flavors. When choosing ocean vegetables, go for well packed products which are clearly labeled organic and from unpolluted waters. If you buy seaweeds from polluted waters, you could be exposing yourself to heavy metal poisoning. There are three main types of seaweeds, namely blue-green, brown and red. These are classified by their main color. It is worth noting that the colors of ocean vegetables represent the material in them which helps synthesize food from the raw materials in the ocean like water, carbon dioxide and sunlight. Land plants usually use chlorophyll for this purpose. The blue-green seaweeds such as sea lettuce have chlorophyll which synthesizes food material in a similar manner to land plants. These seaweeds are usually grown in shallow waters where the seaweed gets adequate sunshine, hence the green color. Brown seaweeds include kombu, wakame, hijiki and arame. These seaweeds are grown in deeper water, hence, less green chlorophyll because less sun exposure. Ocean vegetables like nori and dulse are classified as red seaweeds. These are deep ocean seaweed, getting little sun and creating their own unique fingerprint of phytochemicals. Besides their food value, sea vegetables have many health benefits. Oceans contain a wide variety of minerals including calcium, magnesium, potassium, manganese, copper, iron and iodine. As the seaweeds grow, they absorb these nutrients and store them within. The plants also synthesize some vitamins. This makes ocean vegetables a rich source of vitamins and minerals. Additionally, seaweeds contain various antioxidants. All these properties make ocean vegetables a great addition to your diet. Goiter, usually caused by iodine deficiency, is one of the most common malnutritive conditions on earth, with 800 million people clinically deficient in iodine and 200 million with the protruding throat of goiter. Seaweeds contain a significant amount of iodine. Your body requires a regular supply of iodine for good health. Iodine is used in the thyroid gland for the production of thyroid hormones. If you have iodine deficiency, your thyroid gland cannot produce adequate amounts of thyroid hormones. This can lead to energy issues, fatigue and goiter. Including ocean vegetables in your diet ensures that you are getting a steady supply of iodine. This helps to balance thyroid function. Metabolic processes within the body produce free radical by-products. Left to float within the bloodstream, these free radicals can have toxic effects including breakdown of tissues, harmful mutations and even cancer. They can also cause premature aging. On the other hand, inflammation occurs in the body to aid in recovery from injury. However, if inflammation goes on for too long, it can lead to harmful effects including developing of chronic diseases like high blood pressure, heart disease and diabetes. It is therefore necessary to include foods with antioxidant and anti-inflammatory properties in your diet. Such foods are usually plant based. Because ocean vegetables grow in an atmosphere that is rich in minerals like magnesium, calcium, potassium and iodine, including them in your diet helps to resolve deficiencies of these minerals. This way, they also promote your overall good health. Damage of cells by free radicals is one of the main causes of premature aging. The free radicals which are byproducts of biochemical processes float around in the bloodstream and may end up in tissues and organs, including the skin. If they collect in increasing numbers, they cause damage to the cells they are in contact with. The damage can lead to reduced skin elasticity and wrinkling. It can also cause tumors and even cancer. Seaweeds are a rich source of antioxidant compounds. These compounds neutralize free radicals so that the body can get rid of them, reducing the risk of premature aging, tumors and cancer. ← What is Saturated Fat?